12/21/13 Promo offer updated. See below. Azure's in high spirits. It's Christmastime! She has invited Frank to her family's traditional holiday breakfast. What could go wrong with that idea? Frank's nervous. He comes because of Azure and he doesn't come empty-handed. All goes well until he asks her a simple question. Then, she asks him to leave. Frank Hickman unwrapped a stick of gum and shoved it into his dry mouth. He drove slowly passed the house for the second time, to the tune of John Legend's All of Me. The yard looked like a toy store had exploded there. Well, it is the Christmas holidays, he thought, removing the gum. It only made his mouth drier. Not only did cars fill the driveway, leaving one barricaded spot untouched, curbside was a parking lot. There were so many vehicles for so early on a Christmas Eve morning. His inclination was to keep driving. However, he didn't get to act on the notion. As he watched, the glass door to the front of the house burst open. Azure exited on the run. Frank jammed on the brake. He turned down the volume on the sound system. She sprinted right up to the truck as it hummed in the middle of the street. Her face had a peachy glow as she leaned on the passenger side door. Was the abrupt exertion the cause? He believed she was truly glad to see him. 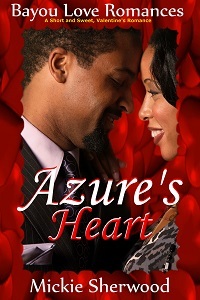 "Don't think you're going to sneak off," Azure said. Moisture returned to his mouth at the purr in her voice. 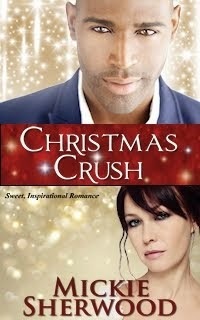 He wanted nothing more than to lay a passionate kiss on her alluring lips. Her smile warmed him all over, even as cold air filtered inside his vehicle. She shivered. "When you invited me to breakfast this morning, to meet your family—" Frank fingered the neck of his shirt, "—I thought it was to meet your parents." A sneaky, humorous look entered her eyes. Azure wound her arms across the front of her body at the gusty wind. "They're inside." Her high spirits were evident in the naughty lilt of her voice. "Yeah. And from the looks of it, so is everyone else." "You know how it is when out of town guests swarm in for the holidays." Frank remained mute, because he didn't. 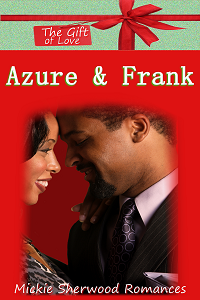 Read Azure & Frank (The Gift of Love). 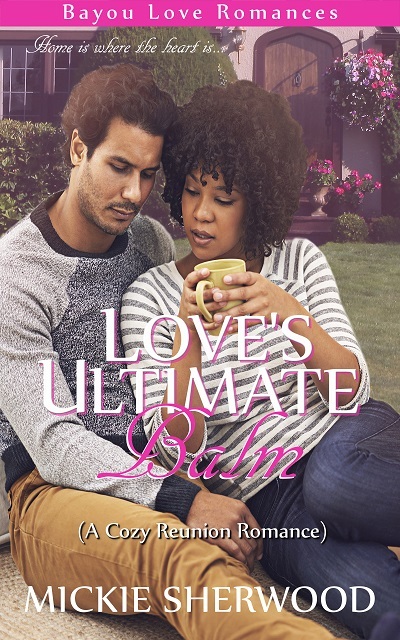 My sweet, spicy mainstream romances are available at Amazon. 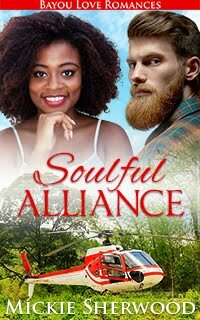 Do you have a December mainstream romance release or upcoming release or a Christmas/New Year themed mainstream romance already available for purchase? Share the specified info in the comments. Reminder: This is a PG site. Hi, Mickie. Loved the snippet. Thanks so much for the opportunity to share my upcoming release. Logline: The Fourth of July is over, but for these summer lovers the fireworks have just begun. I like to pay it forward whenever I can. Thanks for stopping by. Logline: What are you willing to do to get home? Ariel decides to steal Grace's body to get off the planet. Both books are also available in print and ebook editions.